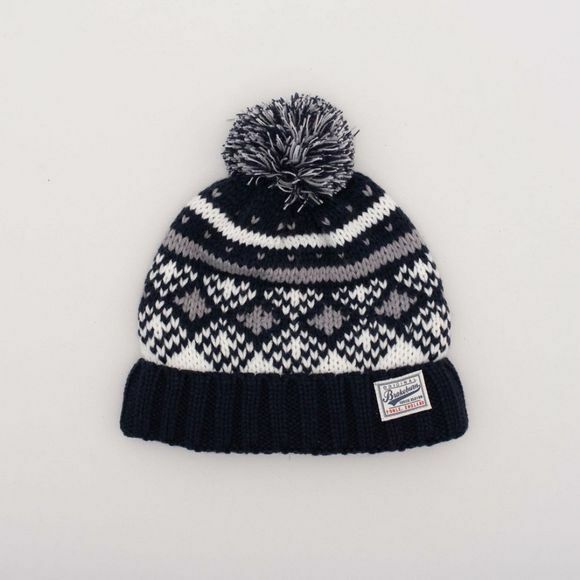 The Mens Fairisle Beanie from Brakeburn is inspired by archives of vintage fairisle designs. We have updated this classic design with pops of greys and white and a large pom pom. Knitted with a super soft yarn for a luxurious hand feel.